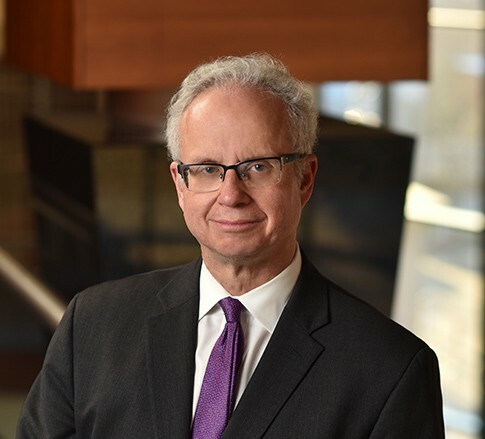 Al F. Sebok is the Chair of the Firm’s Litigation Practice Group, focusing primarily on complex civil litigation and labor and employment law. Al also serves as Assistant General Counsel to the Firm, has been on the Firm’s Executive Committee, and served as the Vice-Chairman of the Executive Committee in 2016 and 2017. Only by meeting Al will you truly understand his mastery of the law – with what can only be described as a photographic memory, Al will easily recall the holding of a case – word for word – from a case he read one time ten years earlier. He’ll then follow up with the exact legal citation, and perhaps where the case can be found in a print version, just for good measure. Al's command of law and fact are unparalleled, and his clients reap the rewards. Al’s practice focuses on representing businesses in a wide variety of complex civil litigation cases, from nuisance litigation for coal and oil and gas companies to Consumer Credit and Protection Act litigation for financial institutions. He has represented businesses in a variety of commercial arbitration matters, has handled a significant number of class actions in state and federal courts, has handled several matters before the West Virginia Mass Litigation Panel, and has successfully challenged and defended the constitutionality of statutes. Additionally, Al represents and consults with employers on labor and employment matters. This includes representing employers both in federal and state courts in wrongful discharge and employment discrimination claims. He consults with employers on personnel issues, union avoidance issues, and wage and hour matters. Al also negotiates collective bargaining agreements for employers. Al has been included in Woodward/White The Best Lawyers in America® list since 2005 for labor and employment law, has been named a West Virginia Super Lawyer®, and ranked in Chambers USA, where he was noted for his exceptional knowledge of the law and for being very good in the courtroom. He has authored numerous articles and lectures to groups on labor and employment law issues.